Home ReviewsAutomobile	A Lodgycal Weekend in Goa! June, my birthday month, turned out to be incredibly beautiful this year. While many of my friends and family members were complaining of scorching Delhi heat, I got the opportunity to travel to monsoon blessed Goa, that too twice in the month, within a span of two weeks. Awesome, isn’t it? Just as I was back from my first trip, after having spent my birthday in Goa, I found another invite waiting for me in my email inbox. 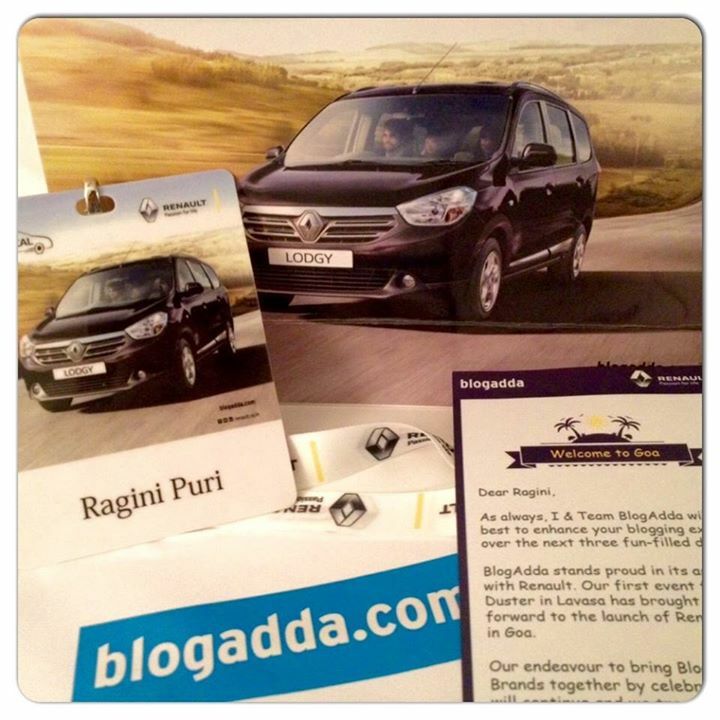 This was from BlogAdda, a leading bloggers network, inviting me to be a part of the Renault Lodgy Drive in Goa! 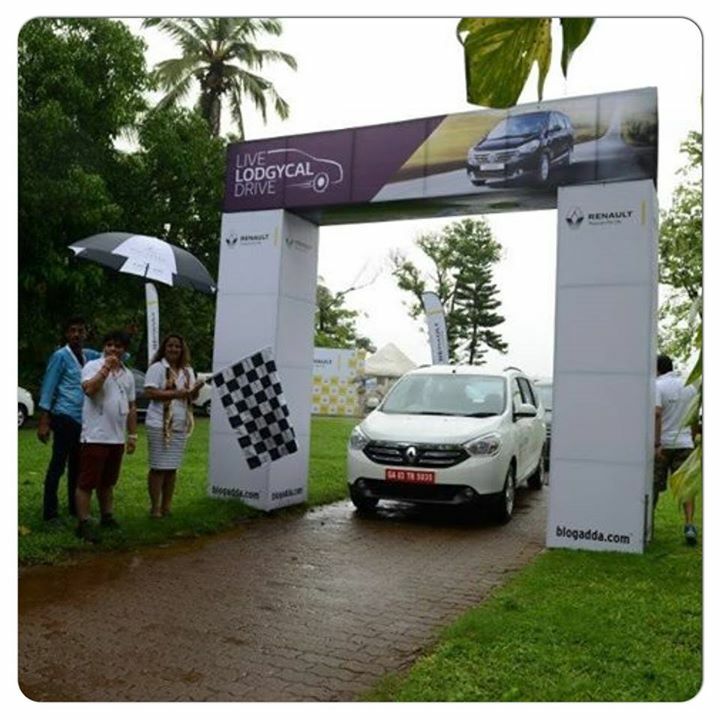 The invite hinted about a weekend of monsoon drives, surprise fun activities and yes, lots of prizes too! Now, who would say no to an invite as alluring as this! Of course, I had to go! After half a day of connecting flights and fear of incessant rains in Mumbai playing spoilsport with the travel schedule, I landed in rain-drenched Goa, looking forward to Renault’s #LiveLodgycal Drive experience. The bloggers invited for the Drive had earlier been divided into 10 teams of 4 members each and had also been intimated about some fun tasks to be completed on the way, and one of the tasks was to get a photo clicked with the Welcome placard. 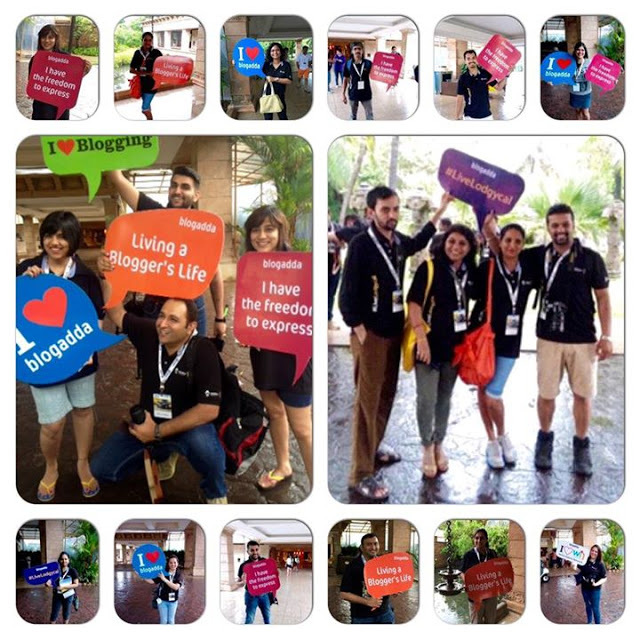 Many of the fellow bloggers who had already landed were busy having fun getting photos and selfies clicked with the placard and it was a good ice breaker! Soon there was his big happy group of bloggers outside the airport, busy chatting, making new friends and going click-click with the cameras. An hour long ride from the Dabolim airport and we landed at the The Leela Beach Resort, a gorgeous 5-star beach resort set amidst a stunning landscape of meandering mini-river. 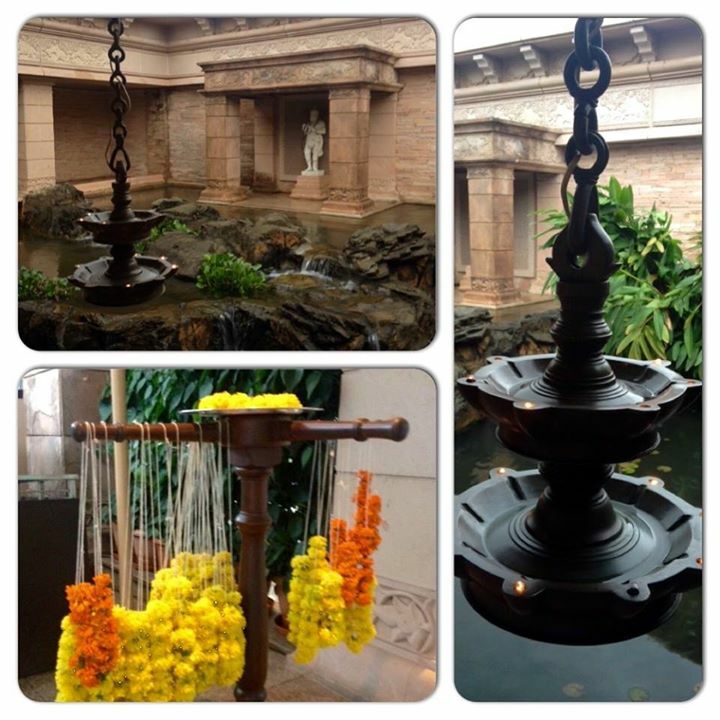 The property is creatively done up, a stunning fusion of ethnic and modern architecture, and the vibes were beautiful – delightful surroundings, gentle monsoon breeze, and the vivaciously welcoming Blogadda team. 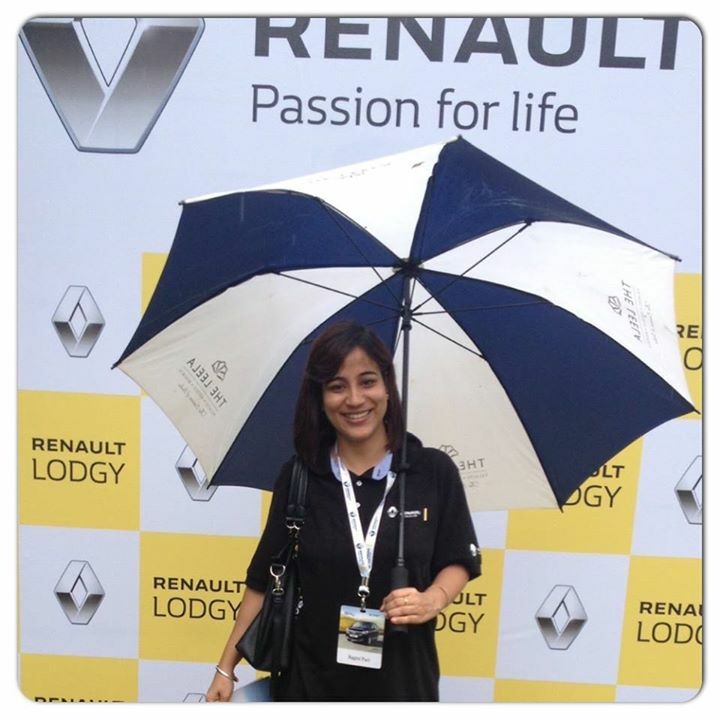 Post a warm welcome and registrations at the Renault reception, it was time for high tea, where many virtual bloggers friends finally got to meet and greet each other. The sense of camaraderie was relaxing and soon enough everyone was chatting as if they had known each other for ever. It was exciting to meet the very talented and cheerful Aditi Mathur Kumar here, who was not just my team-mate but also my room-mate at the hotel. Tea done, it was time to head to our respective rooms for some rest, before gathering back for a formal presentation by the Renault Lodgy team. Once at the room, it was exciting to discover personalised items in the welcome kit, and the most endearing among them all was the note from BlogAdda about how they value bloggers and are consistently striving to be the best connect between bloggers and brands. 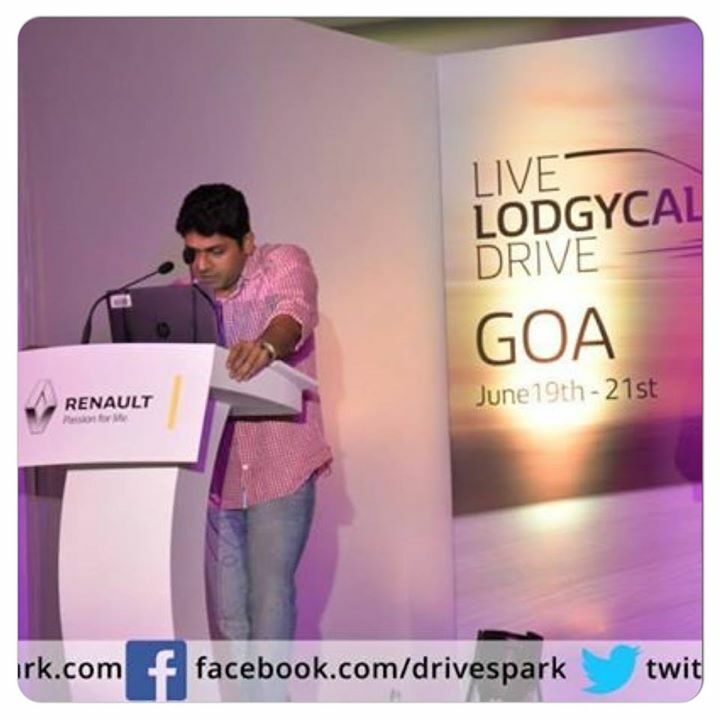 A little rest, a quick shower and lots of chatter later, Aditi and I were back at the resort’s banquet hall, for the formal presentation by Renault Lodgy team. 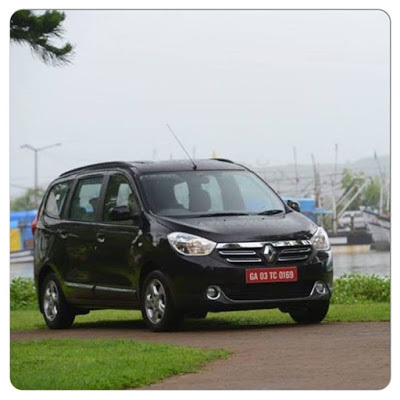 It was an interesting session where Renault’s representatives introduced the audience to Lodgy’s features and also explained about this MUV’s many USPs. Besides this presentation, there was also a small panel discussion on blogging, where a few bloggers volunteered to share their thoughts on blogging and related topics. The fun part of the evening was meeting the other two members of our team – Prateek Thakker and Nirav Thakker, real brothers and one of the most fun and chilled-out siblings I have ever met. And by God, are they filmy! These two will leave any film enthusiast behind with their treasure trove of film trivia! All of us bonded like old buddies and in no time, we had a name for our team – Lodgycally Crazy! Team Lodgycally Crazy gets together! The evening was also about lot of networking and photo-ops, with bloggers reaching out to each other to know about the kind of blogging niche the other specialised in and learning and taking inspiration from each other. Some fun activities too followed and then it was time for group photos, post which everyone headed straight for dinner, where a sumptuous buffet spread awaited us all. The conversations continued late after dinner and post a little stroll around the property it was time to hit the bed so as to be up early the next day. 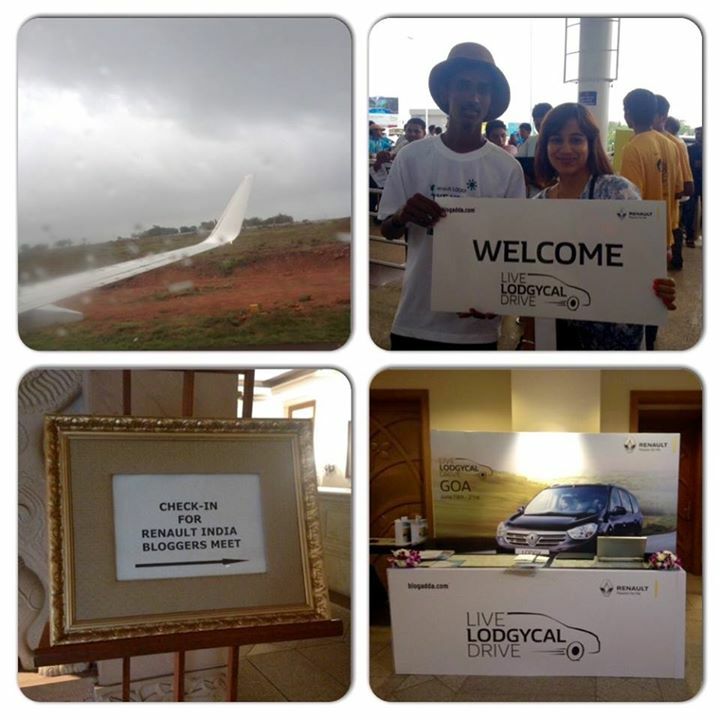 Needless to say, every one of us was excited about the day and looked forward to having a great time driving the new Renault Lodgy. 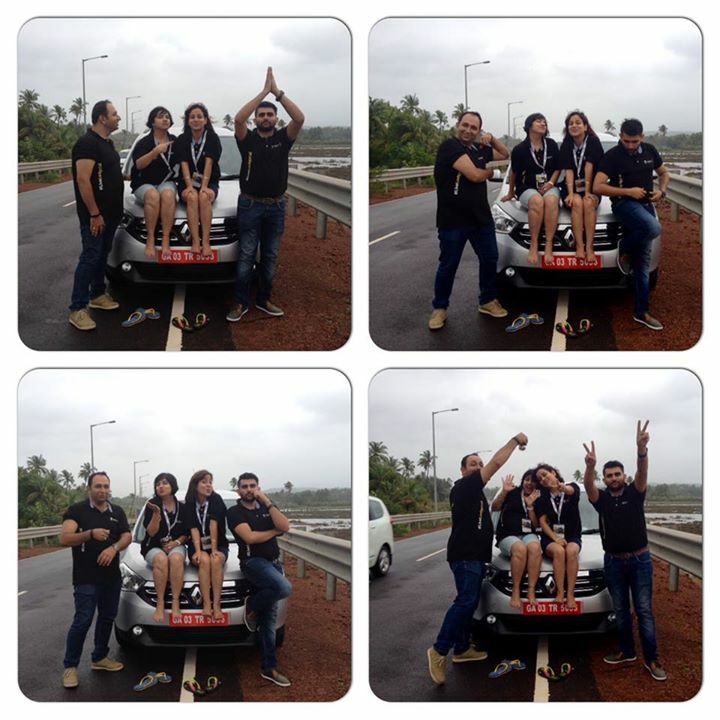 The D(rive) Day started early, with the bloggers and Team BlogAdda Blogadda all geared up for the magical ride ahead. Of course, with the rains taking over the day and giving the green surroundings a mystical aura, it gave a hint of magic! But before setting off to experience the magic, a huge round of photo-ops followed, with everyone taking turns to pose with interesting BlogAdda props. Finally, the wait was over, and all the invitees had the first introduction to this latest Renault giant – The Lodgy, standing strong against the stunning backdrop of bright boats standing in a cove. With rains playing hide and seek, drive instructions did not take much time, a quick group photo session later, the teams hopped inside their Lodgys for the flag off. The magic was on! 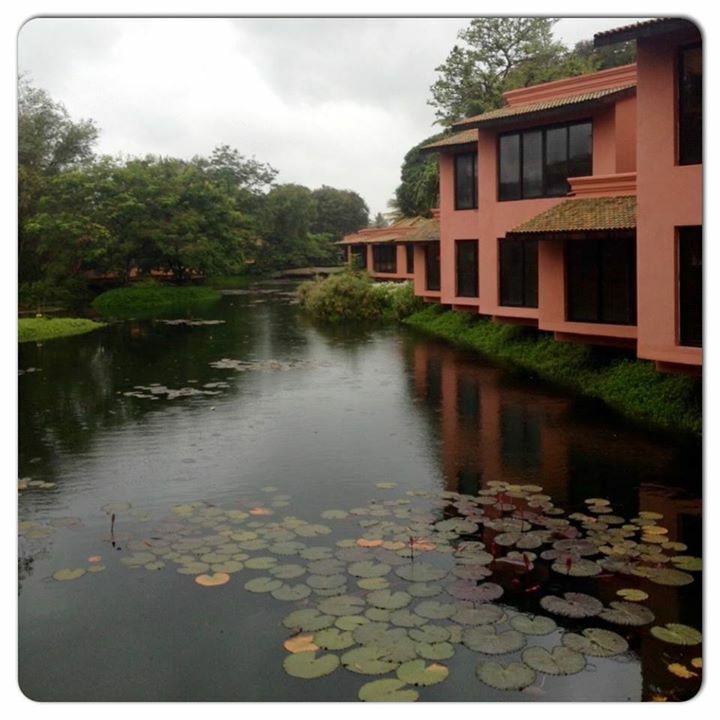 We were headed to the striking The Lalit Golf & Spa Resort, in Canacona, a good two hours’ drive from the Leela Resorts. And to say that this drive was fun would be a gross understatement – it was super crazy goofy fun! 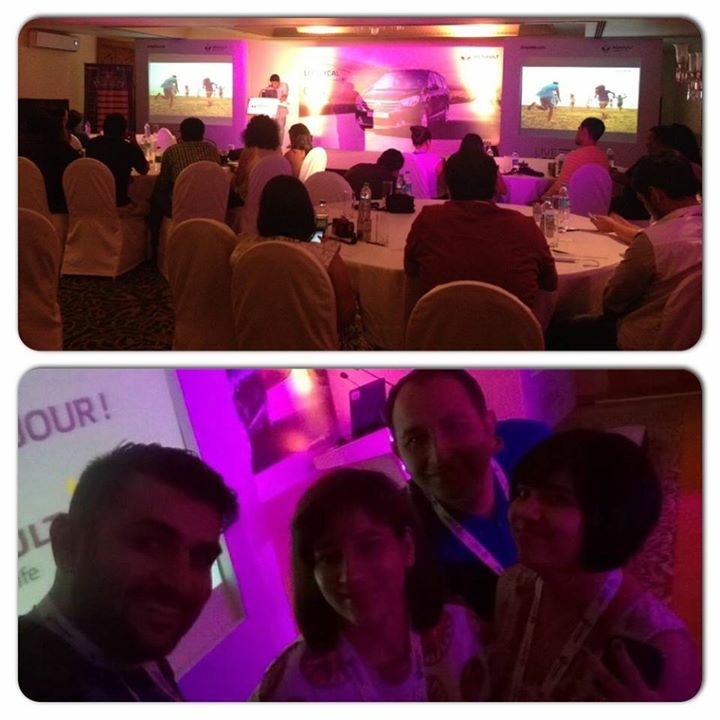 While Nirav took to the wheels, we all got busy taking photos for team competitions! 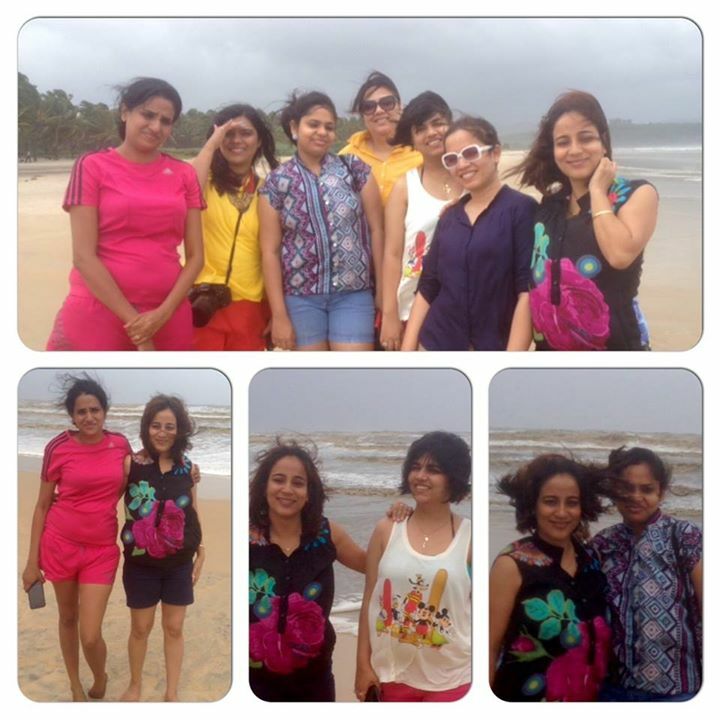 We kept taking breaks to not just capture Goa’s ethereal monsoon charm, but also to pose for quirky group photos. Sample some gems below. The name’s crazy, Lodgycally Crazy! Now that I reflect on the day, it seems it just went by in a whirlwind of crazy, quirky fun moments. The drive back from Canacona was a repeat of the entertaining ride we had on the first trip. 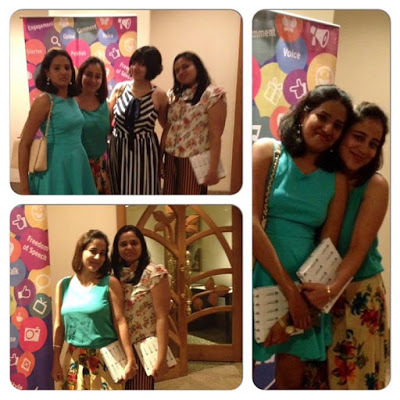 By the time we were back at the Leela Resorts, we barely had enough time for a quick shower before gathering back at the banquet hall for the party that was set up for us! 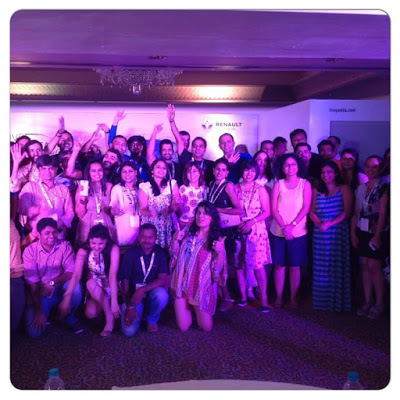 Goa’s popular band ‘The ForeFront’ had been invite to perform for us, so music, dance and masti reigned supreme. While the lead singer of the band was regaling the crowd with her foot thumping numbers, a fellow blogger Neha Kapoor volunteered to sing and single-handedly upped the entertainment quotient on the dance floor! Everyone was up from their seats grooving to her sensuous rendition of popular songs. The day ended on a high note with new experiences cherished and new friendships forged. We were all to head back to our respective cities early the next day to it made sense to pack up in time and have some leisure time in hand the next morning so we could see more of the gorgeous property and also hang around the beach for a while. And the decision was every bit worth it, for following breakfast, we had ample time in hand to go for a leisurely stroll on the beach. The Lodgycal weekend in Goa was a perfect getaway from the mundane inanities of city life. To experience Goa during monsoons and to get to drive a brand new car across its rain drenched countryside was an ah-mazing experience, indeed! 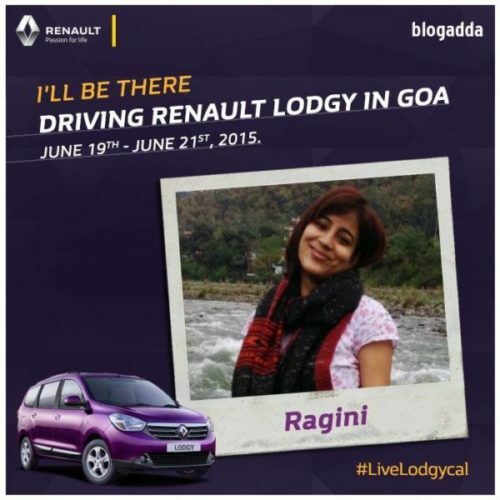 Thank you so much for the opportunity, Team BlogAdda and Team Renault.I was a part of the of the #LiveLodgycal Drive by Blogadda.com, in association with Renault India.